Machining Intelligently ISCAR H I GH Q LINES Over 15,000 Combinations of Assembled Endmills for All Kinds of Applications Interchangeable Heads for a Variety of Milling Applications MULTI-MASTER is a family of tools with shanks and unique interchangeable heads for a variety of milling applications, including ball nose, straight shoulder, and slitting applications. 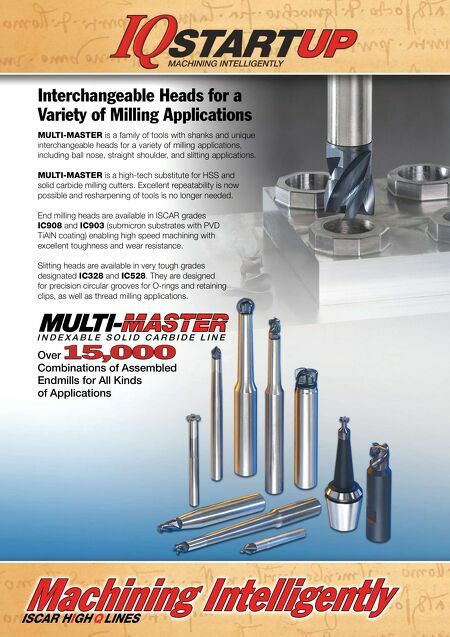 MULTI-MASTER is a high-tech substitute for HSS and solid carbide milling cutters. Excellent repeatability is now possible and resharpening of tools is no longer needed. 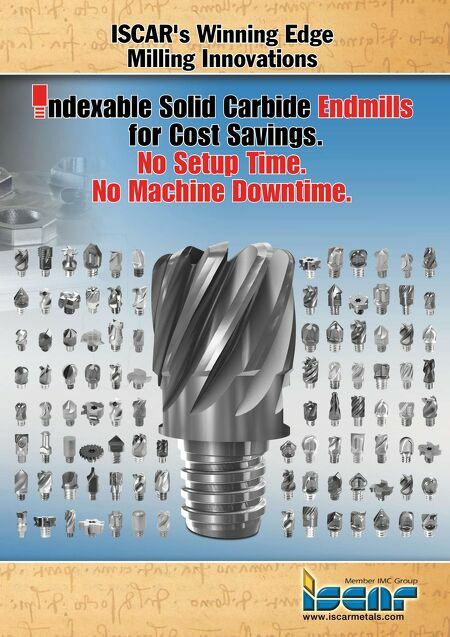 End milling heads are available in ISCAR grades IC908 and IC903 (submicron substrates with PVD TiAlN coating) enabling high speed machining with excellent toughness and wear resistance. Slitting heads are available in very tough grades designated IC328 and IC528. They are designed for precision circular grooves for O-rings and retaining clips, as well as thread milling applications.